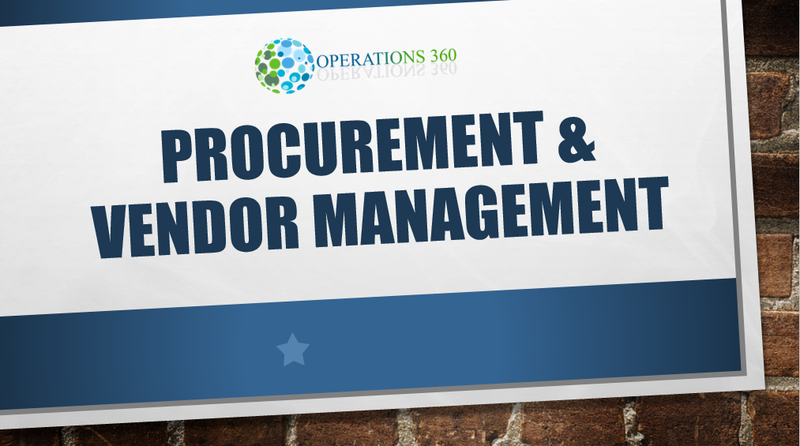 Procurement and vendor Management training aims to introduce the concepts of procurement and how it may help an organization to achieve its goals. Latest techniques and tools will be introduced to the audience. Misconceptions and doubts shall be cleared. 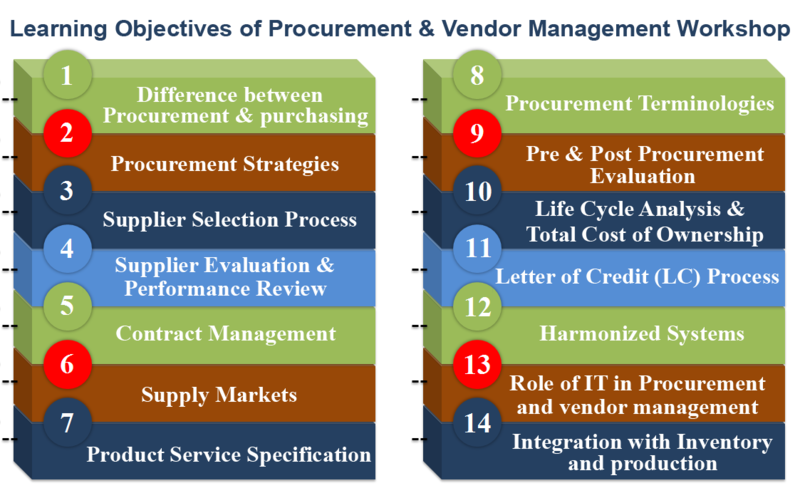 A holistic approach will ensure that procurement department functions along side marketing, production & inventory departments and not in isolation.